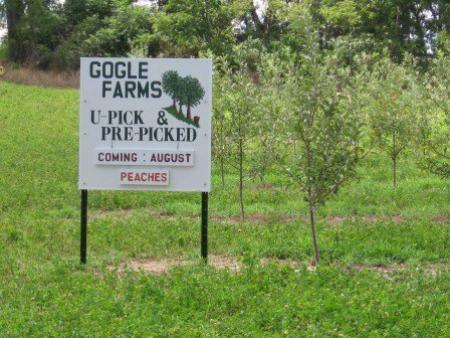 Gogle Farms is a locally owner and operated you pick farm with a variety of produce to be picked or purchased. Check their ripening schedule to see what might be available. Their picking season runs from July to October. My family and I had a nice time picking peaches at Gogle Farms. The orchard was easy to find and we didn't have to walk far to pick our peaches. It was even stroller friendly. Everyone was very nice and prices were reasonable. The peaches are delicious! We look forward to going back for apples.